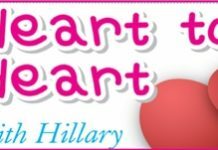 Home Blogs Heart to Heart with Hillary Lost ATM (again)! You might think this is a stupid complaint, but it is driving me mad. My girlfriend and I have been together for 10 years, she is totally trustworthy, she runs the finances and we have no money problems. Like everyone these days we use ATM cards to get the money out of the bank (is there anyone who uses passbooks any longer?) but this is where the problem is. At least twice a year I get a frantic call to say she is somewhere and can’t pay the bill because she can’t find her ATM card. OK, so it’s only twice a year, but it means I have to leave the office and meet her at the bank to apply for another new card, and that takes more than a couple of minutes, and my passport and photocopies and all the usual razzamatazz. I don’t know if she leaves the card in the ATM machine or drops it somewhere, but we’ve never had one returned. I have told her to be careful with it, but the message hasn’t got through. What can I do? Any suggestions? I can understand the frustration, my Petal, but I haven’t got much experience with ATMs I’m afraid. None of the banks seem to have an ATM that gives out anything less than 20 baht, so the card isn’t much use to me! You say that you have asked her to be more careful in the past but that hasn’t worked, so telling her again is not going to do much good, other than make her angry and you even more frustrated. What about asking for two ATM cards, one you carry and one that she carries? That way she will always have access to the account, as long as you don’t lose yours! Perhaps one of the more switched on banks could install a GPS sender so that cards can always be located? I think that’s a brilliant idea of mine! Previous articlePick up the phone!